Panda is ready to party and he is bringing his own bamboo! He is wearing a cute little party hat. 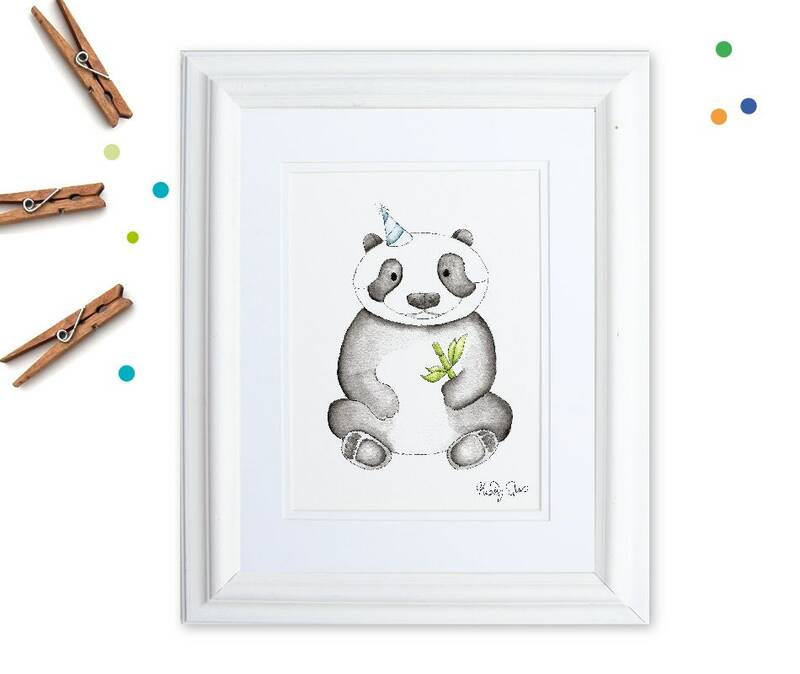 A panda print would be precious in a nursery. Display him at a shower or birthday party then gift to the guest of honor! Watercolor animals are a great way to add a little whimsy to a nursery or children's room.